Storm vs new Palm Pre... Thoughts? I dont see where the pre is being released from vzw. Ive seen a GSM version and a Sprint version. Missed the Palm keynote and haven't done much of my homework on the Pre, but based on what I've skimmed so far, I'm pretty eh about it. Admittedly, that's also how I felt about the Storm when I first heard about it, but now I love the thing. The form factor doesn't look attractive at all to me. The list of features and description of the OS and processor are intriguing, though. If they could pack all that into something less ugly, I'd probably try it out. I agree. I just don't see this putting them back on the map. The market disagrees with us. Palm stock is up 35% today. If Palm can do pinch zooming, one would think a company 2-3 their size could put it on their smart phone! Arggg...the multiouch gestures on the Pre look pretty neat and thats one of my main complaints with the storm. Plust a trackball on the storm would have made it more friendly for editing text. In Kevin and Craig's latest podcast, they discuss this phone and either in the podcast or in the CES Palm blog today, it is pointed out that it is a Sprint only phone=at least for right now. Having had Treos for the past 4 or more years, my NE2 is due soon and I am still going with the Storm. The OS looks very nice. RIM and Microsoft both need to step it up in the OS game. for some reason mine got moved to rants and raves but yours didnt. I am fine with my Storm, but would SO love it to respond as quickly in all apps as it does in commercials or the Pre did on the stage. Or as quick as an iPhone. Is it so much to ask to have a quickly responsive phone? Last edited by rchaney99; 01-08-09 at 05:55 PM. It has a pretty slick UI. Its fast but I love my Storm~!! I like my Strom so far as well (and the torx and business card tricks have helped the suretype) but I do miss the trackball from my 8830. It looks like the pre has the trackball, real keyboard and touchscreen (remember graffiti ). Of course, vzw would make it much more compelling option. Also, I bet it runs all the legacy Palm apps which means there should be a ton of apps for it. Well I figure I have a week or so on my 30 days... stay tunned. OS definitely looks great. I wouldn't mind seeing RIM do something incredible with the Storm's OS interface, but it's okay as is. Perhaps some creative themes will take care of these things for us. lets face it this pre is awesome. and no longer can people say "the storm doesnt do flick scrolling, bouncey scrolling and pinch zooming because apple has it patented" because this device does all that just like the iphone. the rubberband scrolling is great, it lets you know when you reached the end. our phone doesnt. its annoying. and palm was smart enough to include a real keyboard. i think rim fraked up with the click screen for typing. i am sorry but i am going to stick to my assesment that the rebound of the click screen makes typing on the phone impossible. its too much work to type on it too. I think rim picked the worst option. Now i know i am going to get the million people saying its the best feature of the phone ,etc. and the funny thing is, i agree with that assesment! the click screen is AWESOME for using the phone in every way EXCEPT one big one. typing. sorry but the click screen is garbage for typing. multi touch or slide out keyboard is the only way to do typing on a touch screen. When you get your girly palm pre, lets race typing an email... The thing is, the click screen works, and well. I have an ipod touch I use for music and typing on the screen is garbage comapared to the Storm. i will gladly race anyone, there is a hard limit on the speed you can type on this phone due to the rebound of the screen. i type 100WPM on a regular keyboard. the only way you can type that fast is if you are pressing next next key as the previous key is still coming up. if you do that on the storm, you catch the rebound and get an error. if someone wants to post a video showing them typing 70 or 80 WPM on the storm i will gladly eat my words. i think most people only type 20-30wpm on a keyboard, so they arent having problems at that speed on the storm. The truth is, there is absolutely nothing wrong with the iPhone. In fact, I prefer the iPhone's keyboard. It's quick and its auto correction is very accurate. I can type quick with the Storm's click screen when it's working properly. This phone is really the phone that Palm needs. Hopefully they'll change their approach to PDA/Smartphones and hopefully it'll put them on the map. 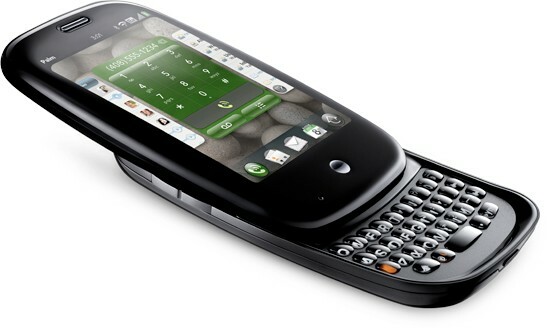 If Palm manages to resurrect their Treo series, it'll raise RIM's game. I can't wait. Look at how the keyboard is on the pre... Do you really think you can type that fast holding the unit in an upright position with the avarage size male hands? I may be wrong, but I sure as heck couldnt. I meant that as a joke... no pun intended. Sorry if anyone took it that way. I guess we all have our likes and dislikes. I personally hate the ipod touch 2nd gen keyboard. I can barely use it... Whereas I am extremely fast and efficiant with the storm keyboard.